If this episode has a title, it should be something associated with So-Yi, or simply put her name in it. I really mean it. This episode is not about her, but the people’s action is somewhat related to her, and she ends up being the most affected person in every decision they made. I really adore her braveness and determination. She’s one of the few female characters, but she’s on the same level as the male characters. Without having to fight or draw a sword, So-Yi displays her strength through her eyes and expressions, which isn’t easy. The notice was Chae-Yoon’s doing in order to call Mil-Bon out as they are searching high and low for the Mil-Bon letter, which is in Chae-Yoon’s possession. He expects them to be surprised after seeing that notice. Looking at how fate made his father’s will sent into Mil-Bon’s hand, it’s like a destiny for him to be catching them. So-Yi is still thinking about the notice and she begins to weigh about the possibility of Ddol-Bok is still alive, although it’s almost impossible. He’s the only one who knew the wrong ‘Bok’ character on the pouch. She slumps to the ground in her deep thinking, and the other court ladies realize her presence. They start asking why she’s behaving like that, concerned with her sudden change in behavior. So-Yi thinks maybe they have told someone about the character on the pouch that she remade, but they haven’t done that. Sejong discloses the new alphabets to the Hangul team, minus the scholars. He’s pretty proud of the outcome and explains the origin of the round shapes. They are pretty amazed with the shapes of the new alphabets, which are different from the previous ones. Sejong sees through So-Yi’s unusual behavior and she’s completely in her own world, thinking about Ddol-Bok. The court ladies try to distract his attention on So-Yi by making him write her name, but her lack of response makes him curious. He asks what is wrong with her, and she asks for his permission to visit Ga Ri-On to practice making sounds. He is touched with her desire to talk, and gives his permission. Ga Ri-On brings the notice with him and discusses about it with Han and Dam-Daek. He suspects it’s not a pure luck on their side, and there must be something behind it. Dam-Daek guesses it might be an exchange, and they finally can get back the Mil-Bon letter. However, Han expresses his concern about the exchange being a trick planned by other Mil-Bon members, but it is impossible as no one knows about the character ‘Bok’. Ga Ri-On decides to take some precautions and orders Pyeong to get ready. As the situation might get out of control in their attempt to kill Ddol-Bok, he also tells them to call someone known as Ggeoksoe. Dam-Daek conveys the Root’s order to Pyeong to prepare and warns him not to make any mistakes. He brings some people to Mt. Mokmyeok, where the meeting with Ddol-Bok is set and they start to scan the area. At the same time, Cho-Tak is puzzled why Chae-Yoon isn’t going to check the place. Chae-Yoon already knows the Mil-Bon people will prepare for it thoroughly and he’s not going to dig his own grave by going there. He’s just giving them an early notice. Pyeong receives another letter from Ddol-Bok, giving him warning about excessive preparation with too many people. He tells him to come alone with some money during the exchange meeting, or else he’ll burn the Mil-Bon letter and disappear. Ga Ri-On decides to follow what Ddol-Bok says as he’s the one with the upper hand in this matter. Meanwhile, the man called Ggeoksoe is told to go to Hanyang. So-Yi comes clean about her lie to the king and pleads for her fellow court ladies to help her. They can’t believe someone like Ddol-Bok is still alive and thinks that it might be someone fooling around. They don’t like the idea So-Yi has right now to meet a guy and plead her not to meet him. Forgetting him is the best way for her to move on and live. Between sobs and tears, So-Yi explains to them: she isn’t someone who can forget something easily, let alone the details about the day her mistake killed the people around her. She can even remember the tiniest thing on that day, and it’s impossible to just forget about it. Her words draw tears from the others, and they decide to help her. The royal doctor comes over to do a check-up on Sejong and reports on his alarming sugar level. He asks the doctor about his expected life span as he doesn’t want to leave before completing his work, the Hangul. He needs five more years and tells the doctor to take care of him. After debating about his workaholic lifestyle and lack of rest, Sejong suggests for him to reduce the intake of meat. He entrusts his health care to the doctor and sends him out. Sejong teases Moo-Hyul about his nature of nagging him and his sign of sulking just sends Sejong roaring with laughter. He’s glad to know about So-Yi’s wish to speak again and that makes him beaming with happiness. Meanwhile, So-Yi is on her way to the mountain while being immersed in her memories of Ddol-Bok. At Banchon, a black figure appears and he’s joined by another one. They are Chae-Yoon and Cho-Tak, going around the area to paste the new notice about the pouch. So-Yi waits there faithfully, but no one shows up. Scholar Hye Gang meets Minister Lee to report what he has said to Jeong Ki-Joon about the Mil-Bon letter. Minister Lee then tries to talk about Sejong’s achievement of maintaining a peaceful reign, but Scholar Hye Gang isn’t in the same boat as him. A ruler’s sole achievement isn’t the proof of a successful nation, and as what Sam Bong said, the roots, which is the noblemen, are the people responsible to create such a nation. Minister Lee thinks Scholar Hye Gang is also worried about the absence of the Mil-Bon letter, but he says that he has his own reason to do that. He’s only trying to protect himself and the people under him from any unforeseen harm. So-Yi is still waiting although it’s nearly dawn. Her absence makes the court ladies worry and Duk-Geum goes to search for her. So-Yi returns with unhappy news: she didn’t meet him. Duk-Geum comforts her but something surprises them: another notice is up, setting another meeting with the pouch owner at Songjukjeong, 1 a.m, three days later. The notice is also informed to Ga Ri-On through Dam-Daek. The court ladies hurry up to meet So-Yi and they are glad she’s safe. She decides to try forgetting the whole thing and starts anew, ignoring the new notice. Paeng-Nyeon and Sam-Moon joins them after So-Yi leaves and they head to the well to learn about the new sounds. 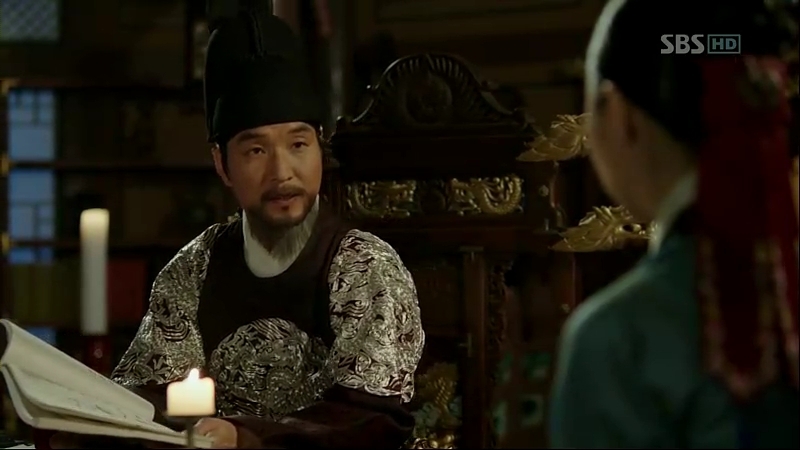 Scholar Shim runs into Minister Lee in the palace. Minister Lee tells him to remind the Root about the Mil-Bon letter. He’s quite upset with Minister Lee’s interest on the will and how he talks about people changes over time. He also suggests Scholar Shim to make a wise decision and perhaps, join him. It’s the meeting night and Ga Ri-On decides to send Ggeoksoe to meet Ddol-Bok. Others are worried about the possibility of someone else coming there instead of the one they think, but he’s confident Pyeong can handle any circumstances that might happen. 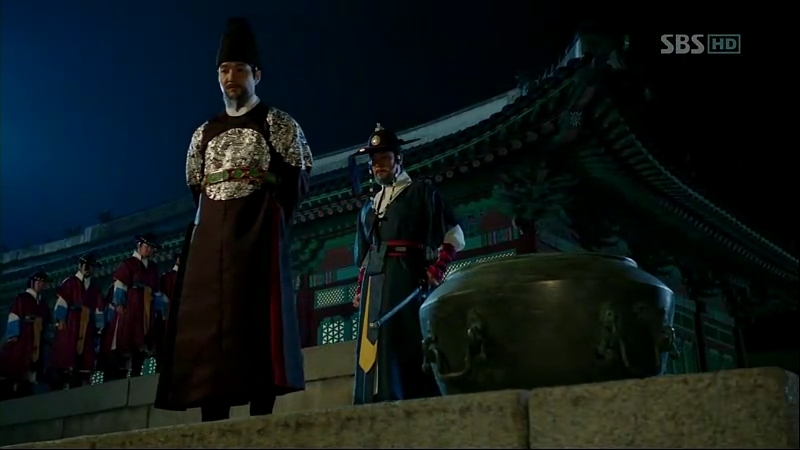 He orders Ddol-Bok to be killed once he exchanges the will with his pouch, exactly what Chae-Yoon thinks he would do. 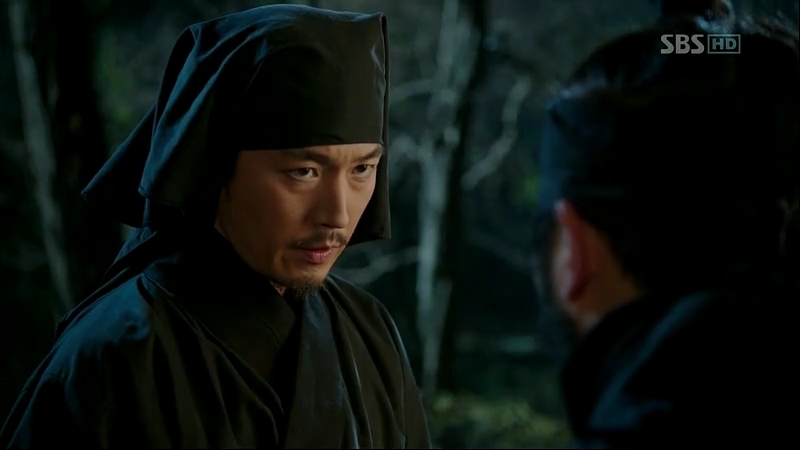 Chae-Yoon tells Cho-Tak about his plan to lead the Mil-Bon people to several places in order for him to get rid of the many people that are going to kill him. Sejong is still awake despite the fact it’s nearly midnight. He’s teaching So-Yi how to pronounce the alphabets in which So-Yi doesn’t pay much attention to. She keeps thinking about Ddol-Bok and tries hard to convince herself that he’s dead. She’s trying too hard and suddenly, her tears fall. Sejong is surprised, thinking that she’s upset about her inability to pronounce the alphabets. Unable to hold her curiosity much longer, she asks for Sejong’s permission to meet Ga Ri-On and off she goes out of the palace. Sensing that something is odd, he goes to Ga Ri-On’s place only to find it empty. He then proceeds to the court ladies’ quarters. The court ladies find it hard to conceal anything from the king, so they spill everything about Ddol-Bok to Sejong. He’s not surprised at all, knowing that the day would surely come. 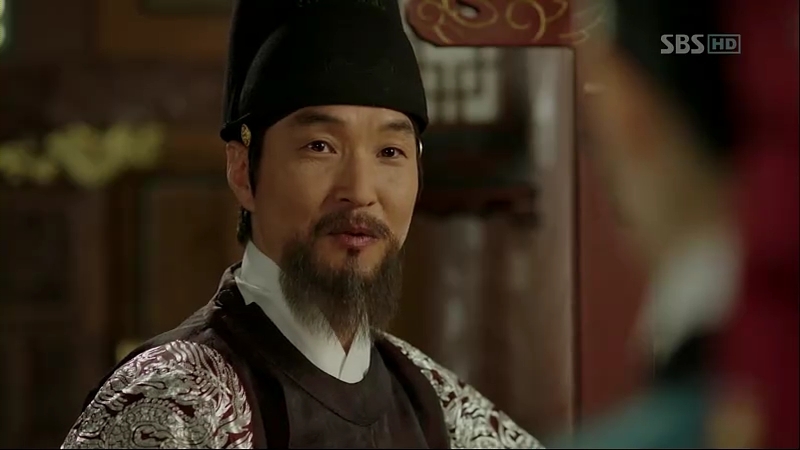 He tells Moo-Hyul to bring So-Yi and Chae-Yoon back to the palace and he himself will tell them everything. Chae-Yoon and Cho-Tak are already at the meeting place. Cho-Tak leaves to the next place, while Chae-Yoon is preparing to leave a note for the person coming there. An old man shows up there, and on the other side of the place, Moo-Hyul and the palace guards are already there. They know about the presence of people, probably assassins, around the place. Pyeong and his underlings are also there. They are preparing themselves, ready to attack Ddol-Bok any minute he appears in front of them. A woman shows up, stopping Chae-Yoon from sending the note through an arrow. He can’t see her face, but Pyeong can easily recognize So-Yi’s face from the other side. 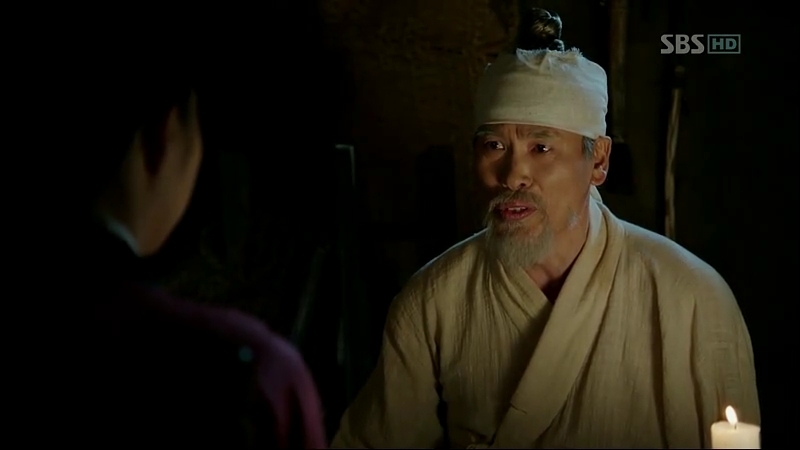 So-Yi moves closer to the old man and she recognizes him: he was also a slave at Shim’s residency together with her, whom she called Ggeoksoe ahjusshi. 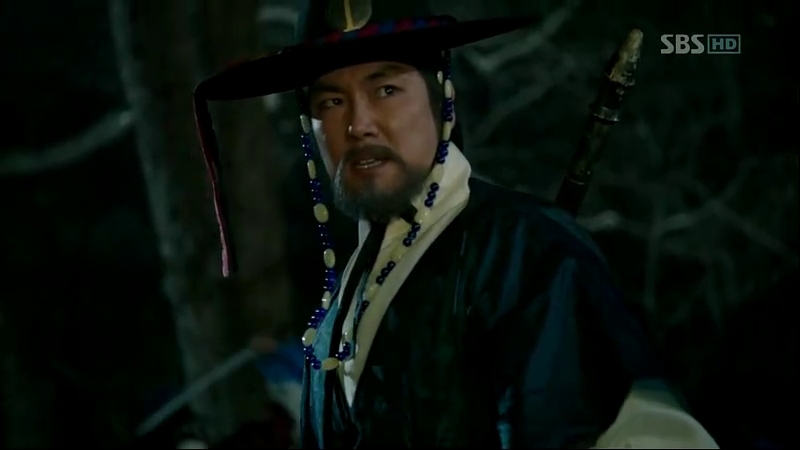 Suddenly, someone approaches Chae-Yoon while putting a sword on his neck to prevent him from fighting back. It’s Moo-Hyul’s assistant, but he doesn’t recognize Chae-Yoon. Moo-Hyul’s sudden attack on Pyeong’s troop distracts the assistant, so Chae-Yoon grabs this opportunity to fight back and escape. The sudden battle around them makes the old man runs away and without wasting any time, So-Yi runs after him, trying to talk with him. 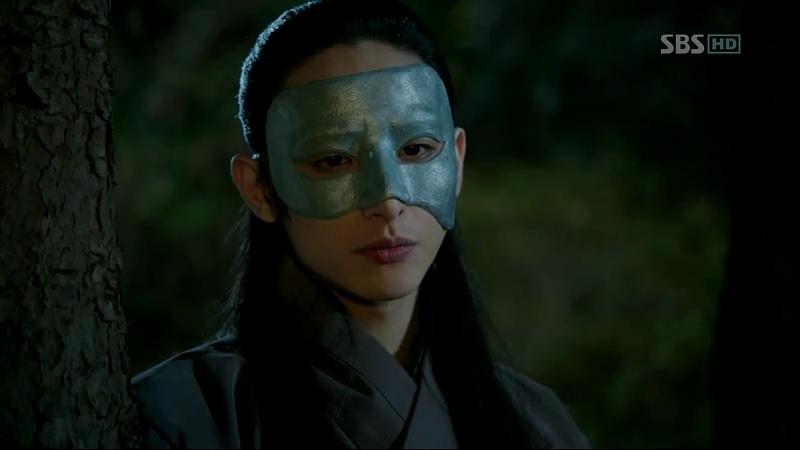 Pyeong, who is in a fight with Moo-Hyul, almost lose to the Joseon’s greatest swordsman, but he escapes and goes after So-Yi. After chasing him for a while, Ggeoksoe ahjusshi trips and falls onto the ground, giving So-Yi an opportunity for her to talk with him. The man is angry as she keeps chasing him, but So-Yi grabs his hand to prevent him from going away. She writes something, explaining that she’s Dam-Yi. Unfortunately, the man can’t read. She resorts to the last measure that she has: talk to him. She tries saying her name by remembering the way Sejong taught her and succeeds. The man recognizes her, and both of them hug each other, glad to find someone who wasn’t dead from the past. Behind a tree, Pyeong witnesses their reunion. Ga Ri-On has someone visiting him on that night. So-Yi brings over Ggeoksoe ahjusshi with her to Ga Ri-On’s place as he’s the only person she can trust to read her words to the old man. He agrees, seeing that this is his opportunity to know the relationship between So-Yi and Ddol-Bok. 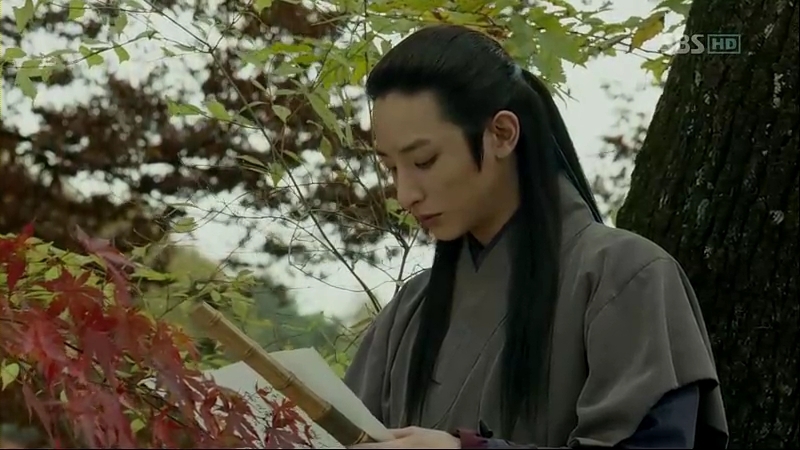 He reads what So-Yi writes to Ggeoksoe and the man explains about how someone came to him few years back, knowing he was Lord Shim’s servant. The person searched for Ddol-Bok who had taken away his father’s precious thing (He’s talking about Jeong Ki-Joon/Ga Ri-On) but he had never seen that boy after they parted ways during their escape from the prison. He says that after seeing the poster, he thought he could meet Ddol-Bok and thus decided to go to the meeting place. He says he didn’t know who the people at the place were but it’s not impossible if they are after Ddol-Bok. Ga Ri-On thinks that maybe slave hunters or officials want to catch Ddol-Bok as he was someone who escaped from the royal prison. It might be harder for him to come out after what happened, but So-Yi knows another idea to bring him out. Ga Ri-On is surprised to hear that. 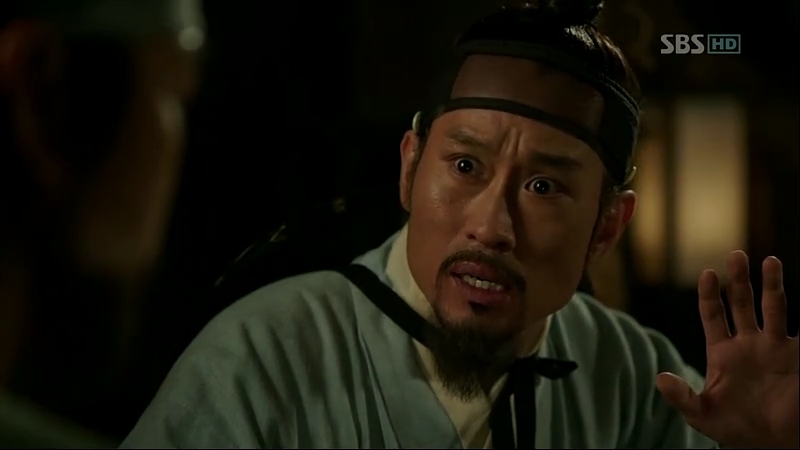 Cho-Tak reunites with Chae-Yoon, asking why the royal guards were also there. He still doesn’t who the woman was and decides to come again the next day. 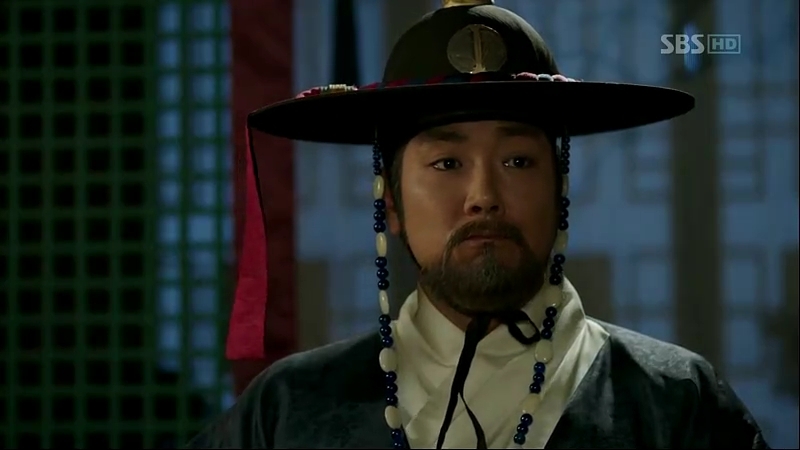 Sejong is informed about the matter, which Moo-Hyul suspects Mil-Bon’s doing. Sejong is worried about So-Yi being the target of Mil-Bon and orders for the guards to search for her. He also wants to see Chae-Yoon. Early in the morning, So-Yi goes around Banchon to paste the new notice, this time from her. She is glad to meet Ddol-Bok but without her knowing, Pyeong reads the notice right after she pasted it. She walks away and suddenly, she hears someone following her. Before she could run away, the person acts first and takes her away. The person, Pyeong, successfully kidnaps So-Yi and she is brought to an unknown place, heading south. Chae-Yoon and Moo-Hyul get to know about the new notice. It writes Mt. Gye-Eon, Ma-ui, 1 a.m. So-Yi, on the other hand, is brought to a place. Although her eyes are covered, she manages to guess where the place is using her ears and geographical knowledge. The notice is somehow weird: there is no such place as Mount Gye-Eon. 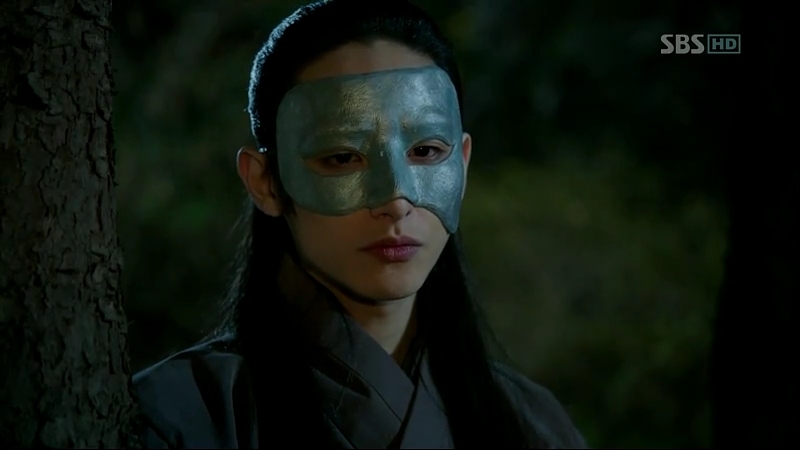 As for Sejong, he’s interrupted in the middle of Kyeonggyeon by Moo-Hyul and he hastily ends it. The ministers and Jip-Hyun Jeon scholars suspect something is going on and they decide to ask Minister Jeong. 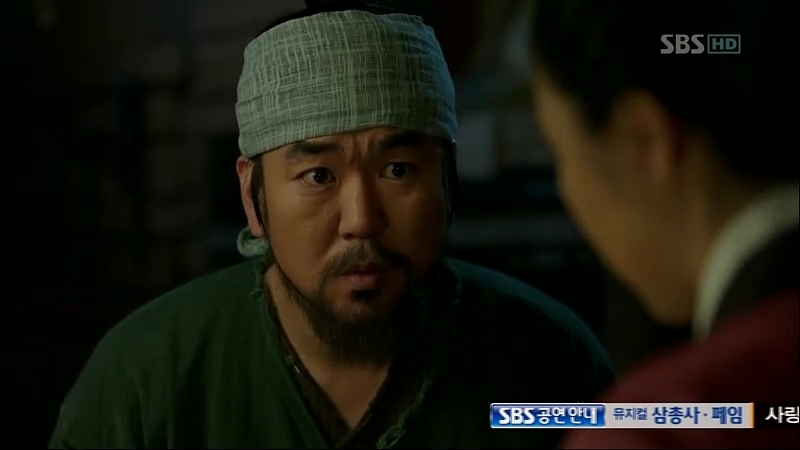 Moo-Hyul informs Sejong about the notice. He wants the meaning of the notice to be found out as soon as possible. After Dam-Daek gives the green light to threaten So-Yi, Pyeong goes to meet her, who is confined in a shack. In order to find out about the meaning behind the notice she left for Ddol-Bok, he threatens to give her a torture, but she bravely states that she is willing to receive it and doesn’t flinch at the idea of being killed by him. Sejong is working hard to find anything related to Mount Gye-Eon and the word ’Ma-ui’, assisted by the court ladies and Minister Jeong, who looks like something is disturbing him. Chae-Yoon tries to look for the clue in the Mil-Bon letter, but he doesn’t find anything. He doesn’t think Cho-Tak’s idea of setting a new meeting place would be good as it now involves the royal guards and that might rile up the Mil-Bon people. It’s odd how the notice is not giving him anything easy to be solved, and he concludes it’s either not directed to him or it’s not MIil-Bon’s doing. Park Po just finds out about So-Yi being missing but Moo-Hyul approaches him, looking for Chae-Yoon. Park Po tells him about Chae-Yoon moving around after he knows about the notice. As the time is running out and thinking that a torture won’t guarantee anything, Ga Ri-On decides to let Ggeoksoe to meet So-Yi. She is quite surprised to see him being brought by Pyeong to meet her. Sejong is angry because nothing has come out from their endless search. Moo-Hyul is worried as it’s nearly the time for the meeting to take place, but nothing can be found out yet. Back at the shack, Ggeoksoe tells her how Mil-Bon saved his life and both So-Yi and he are lucky to be alive till that day, unlike their master’s family, family, and friends. He tries to convince So-Yi to tell them everything as they don’t even care about anything except what they want: the will. This might be the last chance for her to meet Ddol-Bok. She then decides to show them the way to Mt. Gye-Eon. Unknown to them, she is plotting something and starts counting each step she takes carefully. At the same time, Sejong is extremely upset because at the end of the day, they could find nothing about Mt. Gye-Eon. While her eyes are still covered, So-Yi walks with Pyeong and his men. She starts estimating her whereabouts and with her ability to remember everything she read, she guesses the geographical structures around her. After weighing the possibilities, she decides to escape. Thinking that the woman is going to commit suicide, Pyeong goes after her to catch her, but he’s a step too late: So-Yi has already jumped from the cliff and dives into a river. She completely disappears from his sight. No one has succeeded in finding out the real meaning behind the notice, including Chae-Yoon. And miraculously, So-Yi survives and she takes off, running off to meet Ddol-Bok. She hopes for him to be able to solve the puzzle. Park Po comes to tell him about the royal guards who are currently searching for him, but Chae-Yoon is only interested to know what he has found out from the royal guards. He informs him about So-Yi missing suddenly, and that makes him realize the woman on that night was So-Yi. Park Po also gives him the solution to the puzzle, which brings him to the word-linking game he played with Dam-Yi and the place they went on that day. 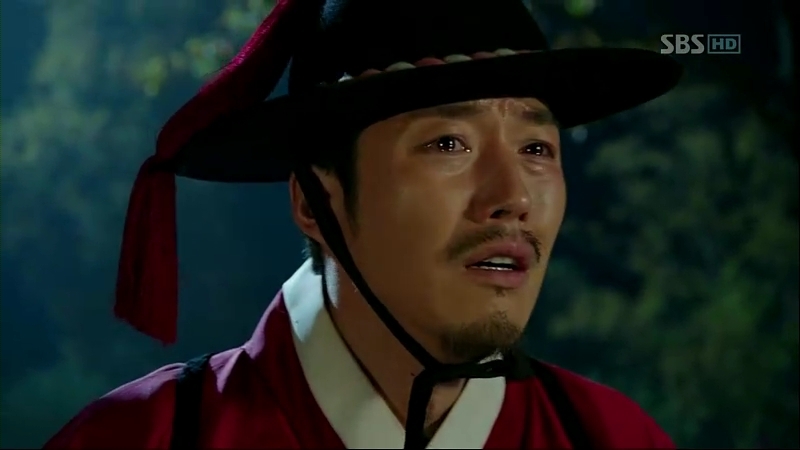 Chae-Yoon runs away, tears in his eyes. Both Chae-Yoon and So-Yi head towards the hill where they once played as Ddol-Bok and Dam-Yi. So-Yi arrives first, anticipating Ddol-Bok’s appearance. 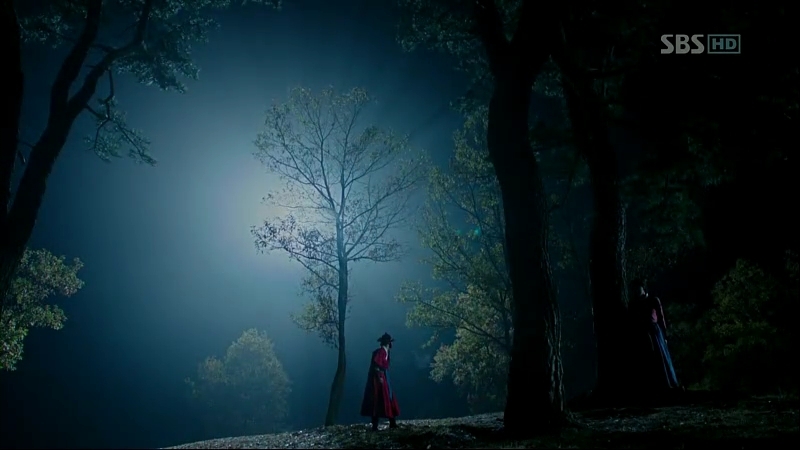 She hides herself behind a tree when she hears someone coming, only to find out Chae-Yoon coming. She doesn’t show herself to him. Desperate to meet someone he longs for since years ago, Chae-Yoon calls out Dam-Yi’s name, much to So-Yi’s surprise. This is why I sometimes resent the cliffhanger. Why it has to be at such an important time? I know, I know, it’s for the purpose of keeping the audiences tune in for the next episode, but it just bugs me so much. Because during the last scene, I was crying so much, too overwhelmed with the characters’ feelings and suddenly, it ended like that! OMG I screamed at the laptop screen like a crazy woman. Now I can’t wait to watch the next episode, which would be downloaded in few hours. Rants aside, So-Yi deserves the limelight in this episode. Surely, she would be one of the most amazing woman in Joseon history, if only this was a reality. Nevertheless, she’s such a brave young woman and she has the gut to actually go against the king’s order. Her expressions alone could deliver what she’s going to say, without any voice coming out from her mouth. Shin Se-Kyung just earns some points from me for her acting, not to mention the character itself. 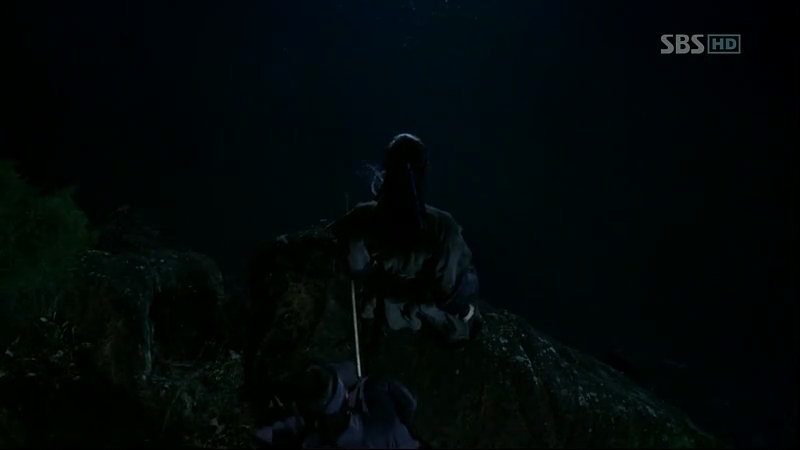 And the scene where So-Yi jump from the cliff is awesome. Another scene that I’m looking forward in this drama is fighting scene, especially Moo-Hyul’s. I’m so excited to see him involved in a real fight this time, and moreover, it’s with Pyeong. That scene was among some scenes that I repeated , because I’m a sucker for those scenes in period dramas. I couldn’t get over how cool Moo-Hyul was in that scene. He blocked Pyeong’s every attack with single blow each time, using only one of his hand. He even made Pyeong’s hand trembled after being attacked. If only he learnt the leap, he would be able to jump after him and defeat him, giving him a clean victory. Oh, Yoon Pyeong. This episode, there’s so much close up of him and I couldn’t help but think, “He looks so handsome with the mask!” Heh, so shallow of me. But it’s true! He must have a bunch of those kept in his house, so that if the situation calls for it (for instance when Chae-Yoon cut the mask into halves and also left him a scar on his pretty face), he could easily wear another one. It’s one of the ‘it-things’ for an assassin, I assume. Now I’m totally moving further than the real thing. Is it just me, or Pyeong is slightly…into So-Yi? It’s almost impossible for someone like him, but after all, he’s still a human. He looked different when he’s in front of her, which kept me thinking about the possibility. His hard stare turned soft when he witnessed her reunion with Ggeoksoe ahjusshi. He treated her better and even played a stare contest with her. But the most entertaining scene between these two was when Pyeong told So-Yi about the torture, but he’s saying it like he’s reciting it right from a book. Anyway, he’s surely having a great time trying to scare her off, but he’s the one being surprised with the woman’s gut. Maybe this boy is too hard inside. Someone needs to soften him out a little bit. 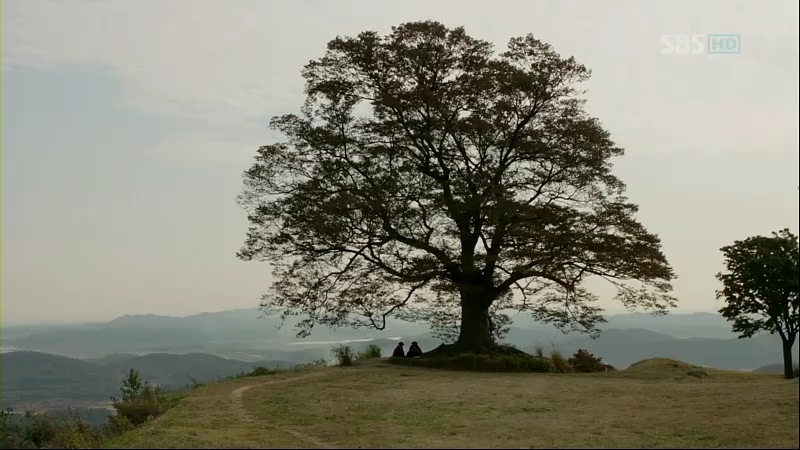 The last remark: I envy this tree. It always gets a nice shot of itself.